Absolut ads tower above the highway on billboards. The Most Interesting Man in the World apparently only drinks Dos Equis. Weddings, of course, are incomplete without champagne toasts and office parties become just a little more interesting with the addition of a few cocktails. But do the benefits to your social life outweigh the risk to your health? And how hard is it really to live without a few drinks? Those who have suffered through the bleary-eyed, head-in-a-vise headache of the morning after know the grave toxicity of alcohol. But there are effects that outlast the hangover. 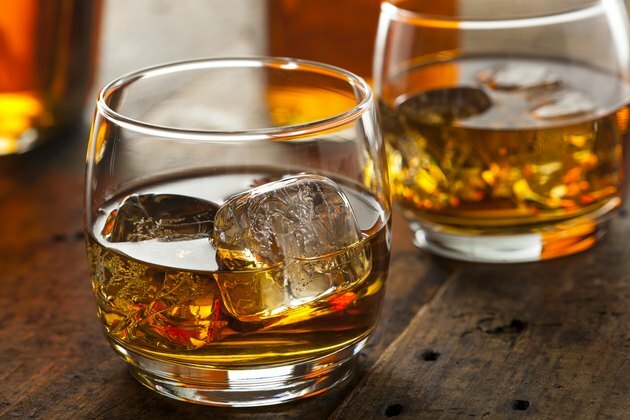 Alcohol use and abuse increases the risk for many types of cancer, pancreatitis, digestive problems, cardiovascular issues, stroke, depression, anxiety and dementia. What’s more, a consistent use of alcohol depletes neurotransmitters and changes brain function. Several immediate health improvements occur after alcohol cessation. According to a study published by New Scientist, after just one month of not drinking, liver fat decreased by 15 percent, blood glucose levels dropped 16 percent and cholesterol decreased by five percent. In addition, participants' sleep quality and ability to concentrate improved significantly as well. Even moderate drinking can cause memory lapses, and on the other extreme, binge drinking can result in severe memory loss. However, even alcoholics who'd already experienced cognitive impairment can regain at least some brain function within a year of abstinence. Giving up booze can also assist in the growth of new brain cells, since large amounts of alcohol can slow or halt the growth of new brain cells. It's this lack of growth that results in the long-term deficits found in key areas of the brain. And on top of all that, alcohol abuse can lead to thiamine deficiency, which leads to serious disorders of the brain, such as Wernicke-Korsakoff syndrome (WKS). Good news if you’re looking to drop a few pounds: Quitting alcohol promotes weight loss, especially for women. Many types of alcohol are loaded with sugar or become sugars when processed by the body. Research shows that drinking causes additional physical consequences for women. Alcoholic women develop cirrhosis of the liver, heart muscle damage or cardiomyopathy and nerve damage more quickly than alcoholic men. You may have heard that alcohol is a depressant. You may have even experienced a next-day slump. But beyond that, alcohol can disrupt brain function and brain cell and neurotransmitter function, possibly leading to brain damage, depression and even suicidal thoughts. According to Alcohol Research & Health, “Liver cirrhosis resulting from excessive alcohol consumption can harm the brain, leading to a serious and potentially fatal brain disorder known as hepatic encephalopathy.” This disorder causes disruption of sleep patterns, changes in personality, mood swings, anxiety and shortened attention span. So, How Do You Stop Drinking? The good news is that quitting drinking for one week, one month or even one year has countless health benefits. 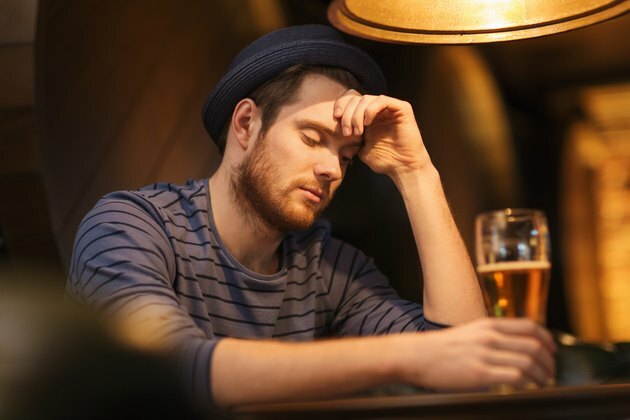 The bad news: Abstaining from alcohol can be difficult, especially in social situations. 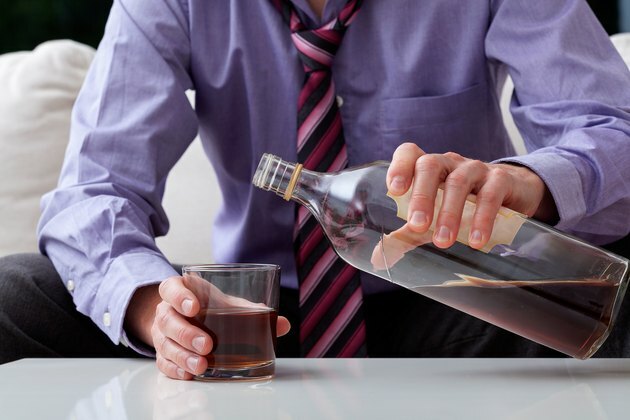 Here are a few tips to help you be successful in your cessation of alcohol. 1. Find a good outlet for stress. Many drinkers, and especially alcoholics, have poor coping mechanisms and turn to alcohol during difficult or stressful times. Alternative suggestions for treatment, according to Passages Addiction Treatment Center in Malibu, California, include acupressure, massage, acupuncture, art therapy, equine assisted therapy, hypnotherapy, sound therapy, tai chi and yoga. 2. Focus on the benefits. Positivity reigns during abstention. Focusing on your immediate health benefits will help you abstain for the duration of your desired period of time for alcohol cessation. Keep track of how much weight you’ve lost, and use your increased energy to exercise. 3. Enlist friends, family or professionals to help you. Having the support of your social network can help you abstain. If you feel that you may have an addiction, reach out to a therapist or rehabilitation center. If you’re attending a party or event, consume a festive alcohol-free drink, such as a cherry bomb, Shirley Temple or virgin margarita. 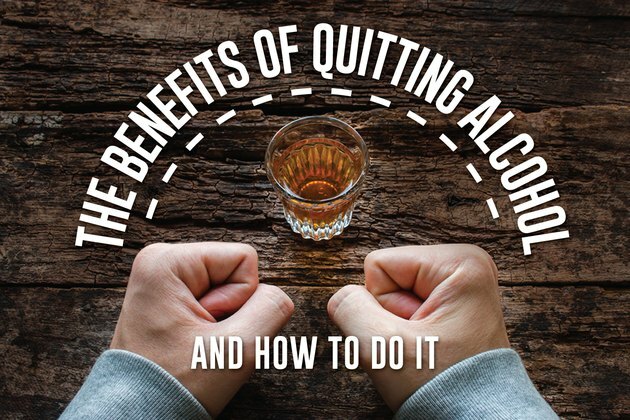 Have you successfully quit alcohol for a period of time? What compelled you to stop drinking? Do you have any tips to share for abstaining from alcohol? Share your thoughts, stories and questions in the comments below.